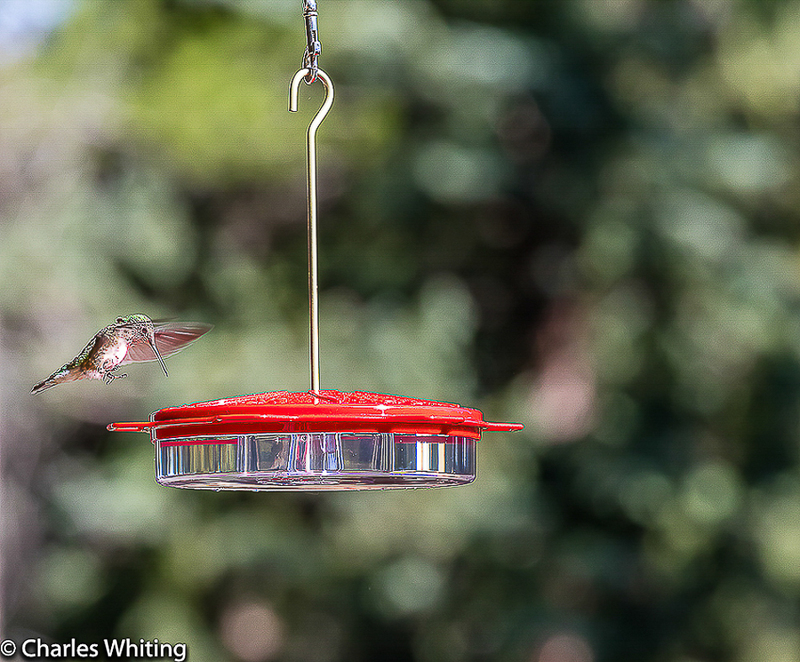 A Broad-tailed Hummingbird approaches the feeder. Evergreen, Colorado . Photo © copyright by Charles Whiting.